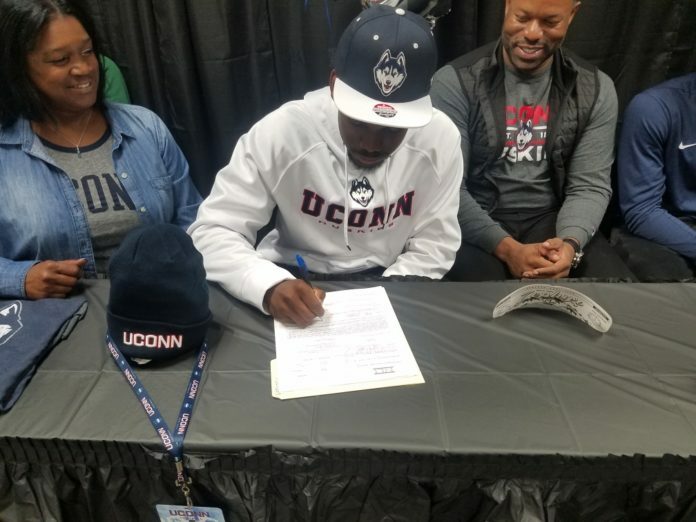 Jayce Medlock commits to the University of Connecticut. DESOTO—DeSoto Independent School District hosted student-athletes and their families in celebration of the annual National Signing Day event. This year’s class of DeSoto ISD student-athletes announced scholarship-based commitments to colleges and universities at which they will continue their athletic pursuits while also working towards college degrees. 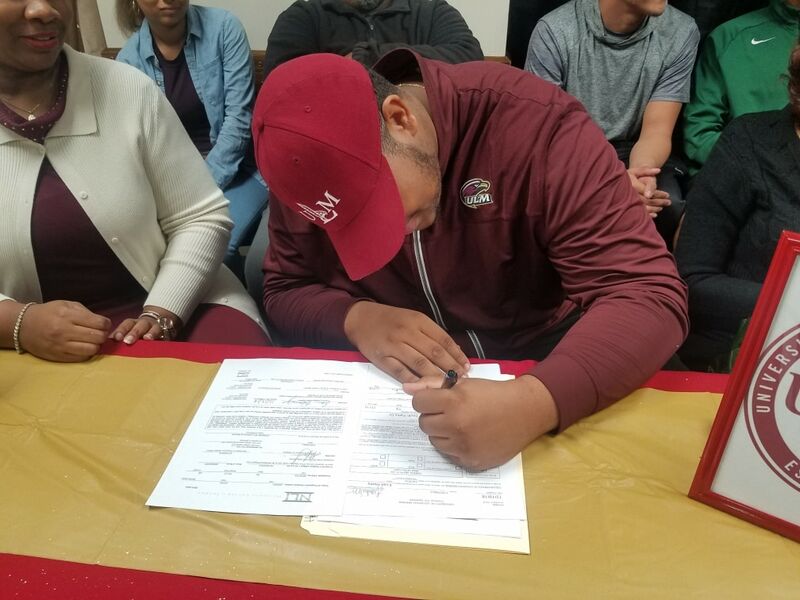 Evan Henry (University of Louisiana, Monroe), Jayce Medlock (University of Connecticut) and Viramontes Pippens (Texas Southern University). DeSoto ISD is a public independent school district serving more than 10,200 students and 1,200 employees. The district is comprised of 13 campuses serving students from early childhood through graduation. For more information about DeSoto ISD, visit www.desotoisd.org. Evan Henry signs with University of Louisiana at Monroe. The week before members of the TAPPS Championship Trinity Christian Football team made their collegiate commitments. Lewis Cine was tapped by the University of Georgia and Qualan Jones committed to nearby Baylor University.